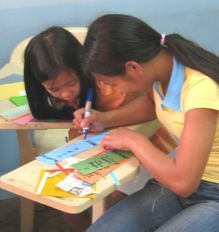 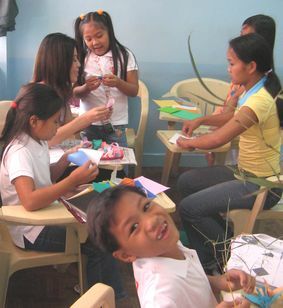 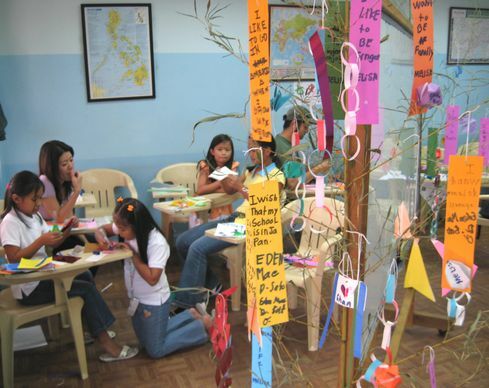 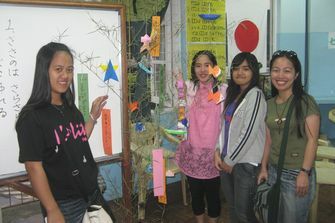 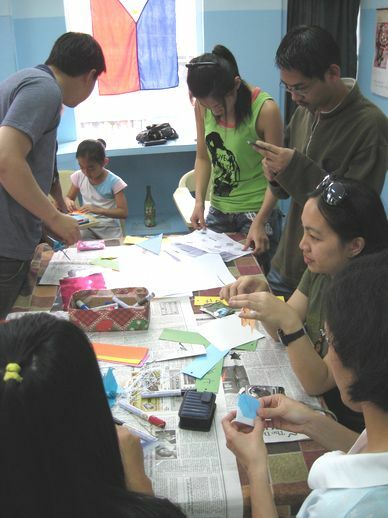 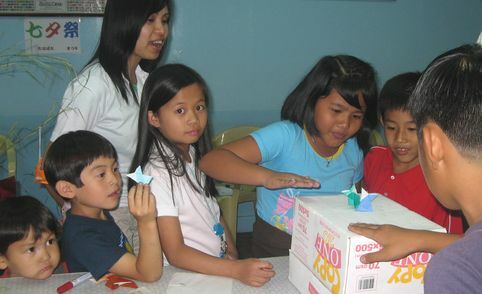 On July 7, 2007, SKLC Japanese language students, Japanese residents in Baguio city, and their children gathered at Sato Kokusai Learning Centre to celebrate Tanabata Matsuri (Star Festival). 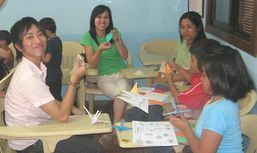 The children and students learned how to make ORIGAMI and how to write WISHES on the Tanzaku papers from Japanese participants. 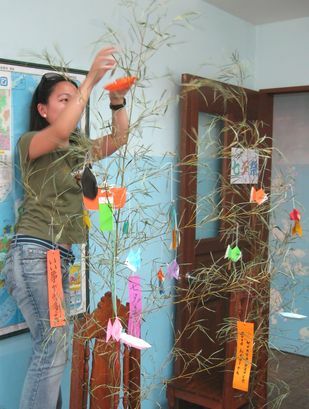 Then all participants decorated the Tanabata Bamboo Trees to pray their wishes come true. 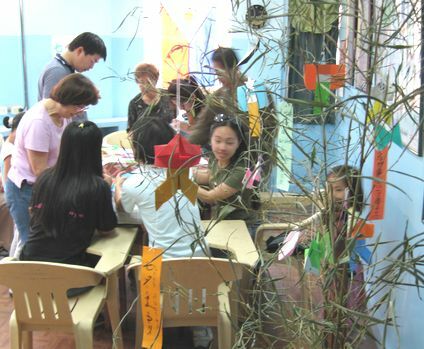 The Tanabata Bamboo Trees are well made by the cooperation of all participants. 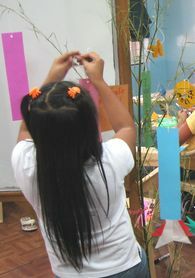 After we decorated the trees, the children challenged for Sumo Wrestling Tournament. 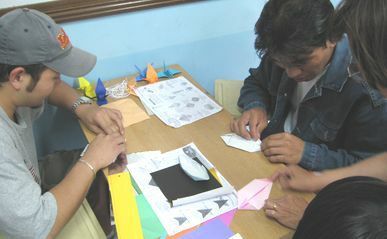 Sumo Wrestlers are made by Origami papers. 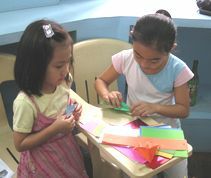 All children enjoyed the excited tournament very much. 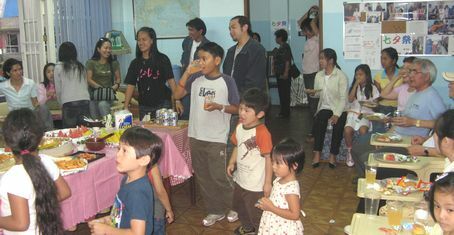 We had a mini party to celebrate this occasion to get together and exchanged Japanese cultures. 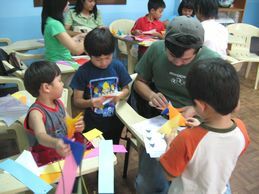 All participants learned how to sing "Tanabata" song, too. 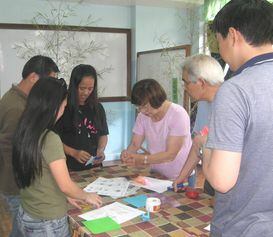 Also, Japanese Language Instructor Training course is available for Japanese nationals and excellent Filipino students. 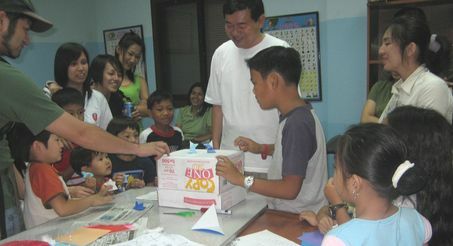 Sato Kokusai instructors are using Direct Teaching Method, where the students are learning Japanese through Japanese language. 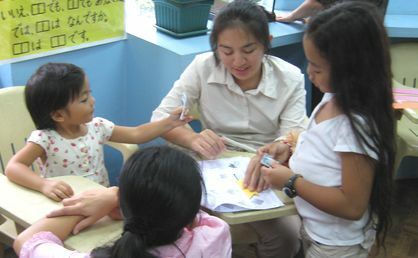 The direct teaching method is commonly used at most of Japanese Language schools in Japan.